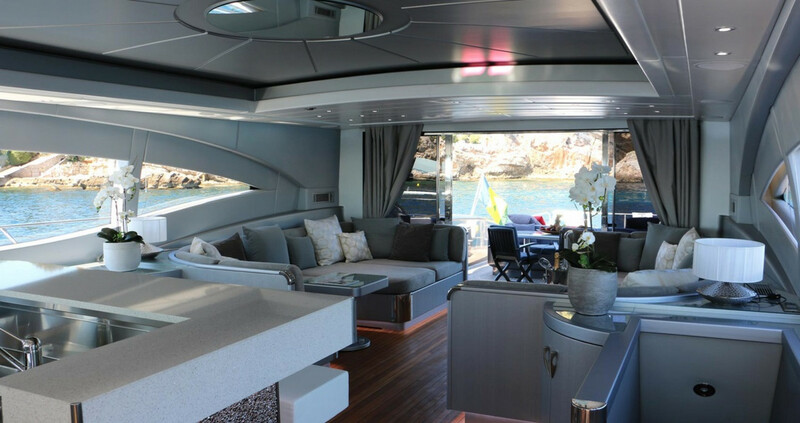 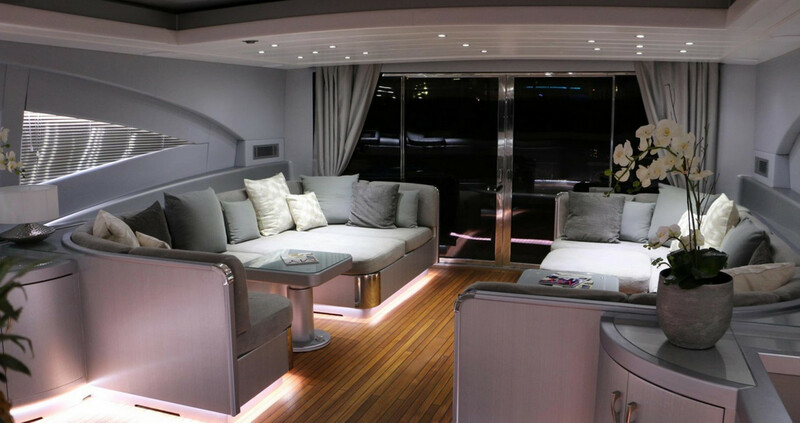 Amazing motor yacht « JFF » will offer you luxurious and memorable holidays. 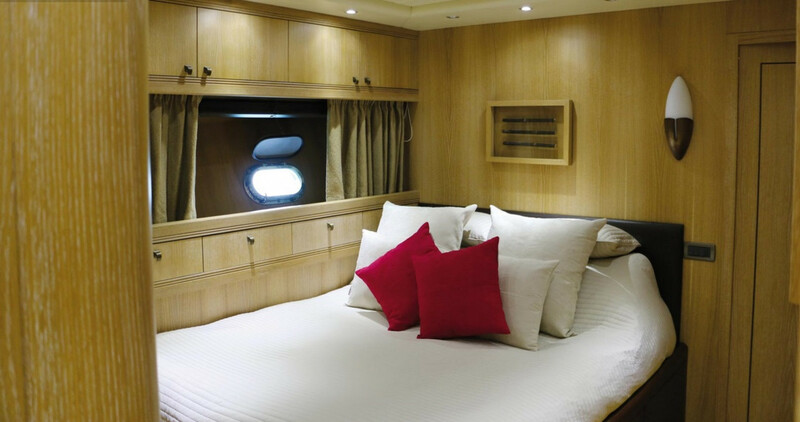 JFF was built in 2001 and underwent a major refit in 2015. 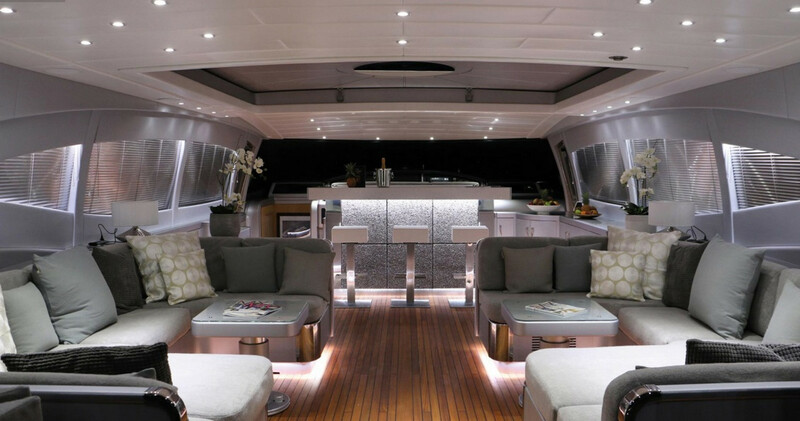 You will appreciate her elegant lines and very modern saloon. 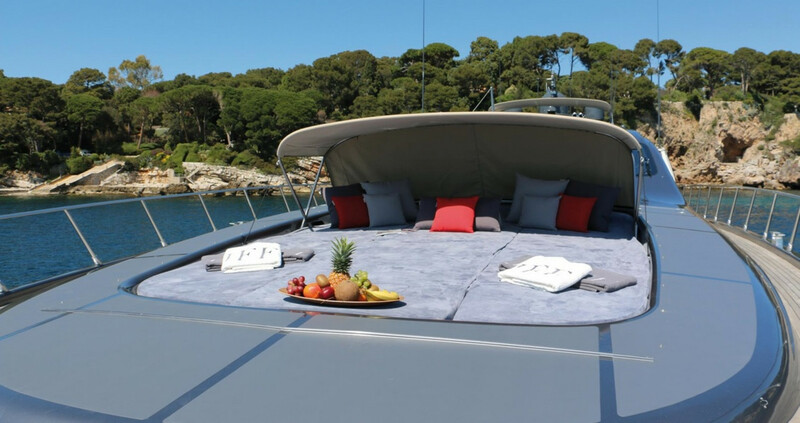 The spacious sundecks will allow you unlimited hours of sunbathing. 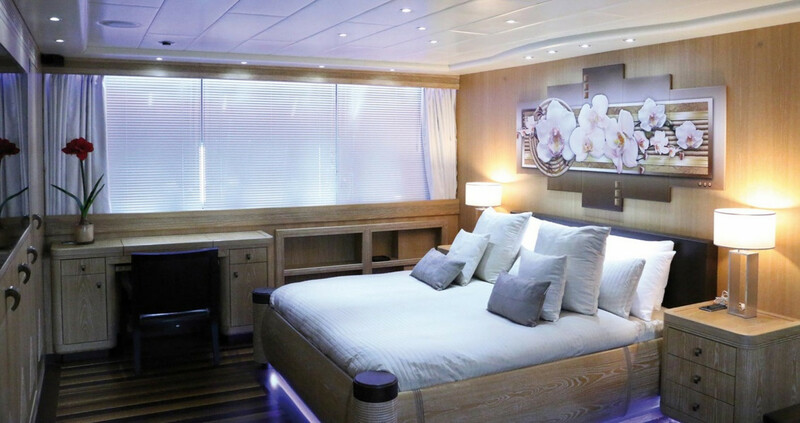 She offers full entertainment for everyone: Wi-Fi, 4 bigscreens TV below decks (Master cabin: TV 70 inches), Airplay everywhere on board, and PS3 and a large range of water toys. 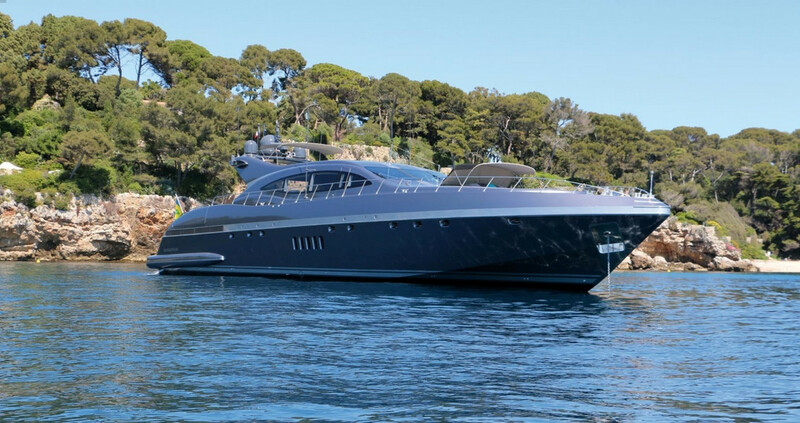 JFF can be rented whether you are looking for a definitive day charter in St Tropez or an energetic week charter to Corsica and Sardinia.